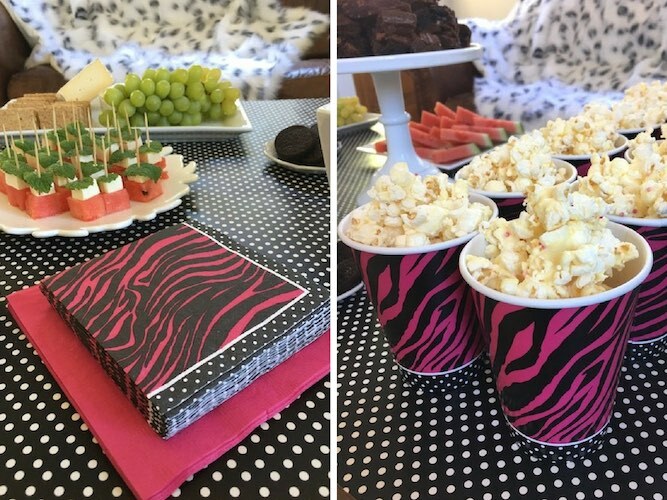 If you’ve just been looking at the Pink Zebra themed party we put together last weekend and wondered what the costing would be, here is a breakdown which will help you with your own party planning. 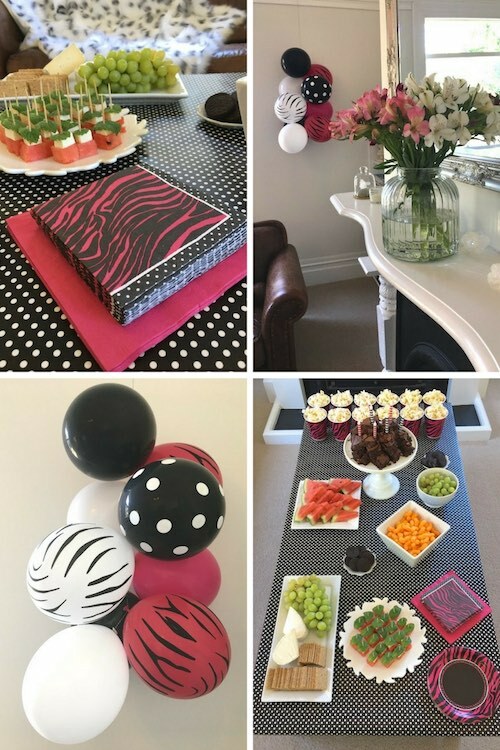 We used this theme for a movie night birthday party but this is a great one if you are looking for Glamour, Pamper, animal print or Monster High party theme ideas along with it being the most widely used colour scheme for a bachelorette party or hens night. 1x Black polkadot gift wrap / table runner – $7.95 for a 3m roll (you can use the left overs to wrap gifts!). Total cost is $67.50 ($59.75 based on current specials on the Pink Zebra Boutique collection). We had adults whom we catered for with napkins, plates and cups. If you only had up to 8 children that you were catering for then your costs would be more like $48 – $51 (by removing 1 pack each of plates and cups and removing one of the napkin options). Pricing accurate as at 01/02/2017. If you have party theme ideas you’d love some help with, please feel free to get in touch! This entry was posted in Children's Birthday Parties, Grown Ups Party Ideas. Bookmark the permalink. New party decor items in store NOW!